The versatility of the pumpkin will be showcased over the next three months as the Department of Agriculture launched the National Pumpkin Challenge: “Pumpkin Sweet”Â on Friday April 08. The competition falls under the umbrella of the St. Kitts and Nevis Restaurant Week Challenge which will be held in July. In an interview with the St. Kitts and Nevis Information Service (SKNIS), Alphonso Clarke, Communications Officer at the Department of Agriculture, hailed the value of pumpkin. 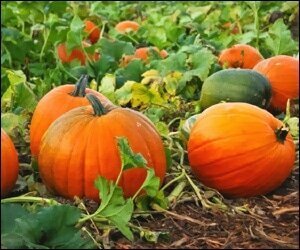 The communications officer praised the local farmers and said that they are very capable and able of producing pumpkin to supply both local and regional markets. Clarke noted that the winner of the challenge will be chosen by judges from various backgrounds in terms of experience in the food industry, such as hotels, restaurants and vendors. He is appealing to all citizens and residents to use this occasion to get their dishes exposed, as registration for the competition begins today, Friday, April 08, and ends on Friday, April 22. “I therefore encourage the general public to register to take part in this competition,”Â he said, while adding that the winner will have his/her name published and his/her signature dish featured during Restaurant Week. The communications officer touched on the closure of the sugar industry in 2005 and noted that since then, the mandate of the Ministry of Agriculture has been the provision of services for the development of sustainable livelihoods in Agriculture. In June 2015, Maureen Stapleton who is known for her creative use of breadfruit, won with her signature breadfruit chowder and breadfruit rolls. She was named winner of the St. Kitts and Nevis Restaurant Week Breadfruit Challenge and her dish was featured on the menu of every participating restaurant.